Marvin Williams began writing for Our Daily Bread in 2007. He also writes for another Our Daily Bread Ministries devotional, Our Daily Journey. 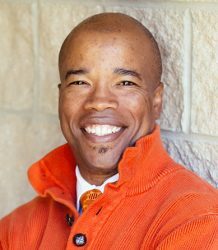 Marvin is senior teaching pastor at Trinity Church in Lansing, Michigan. Educated at Bishop College in Dallas, Texas, and Trinity Evangelical Divinity School in Deerfield, Illinois, he has also served in several pastoral positions in Grand Rapids, Michigan. He and his wife, Tonia, have three children.